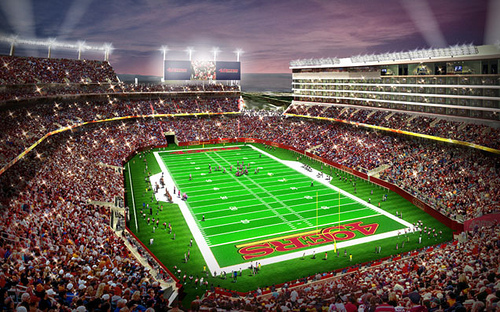 The San Francisco 49ers franchise is about to take the NFL and global technological lead by constructing a new smart stadium that will be ready to host Super Bowl 50 in 2016. The article I wrote for iQ Intel, like the blogs I write for the Sports Techie community blog, was a stellar learning experience as well as another epic trip down sport technology history lane before it is even here. 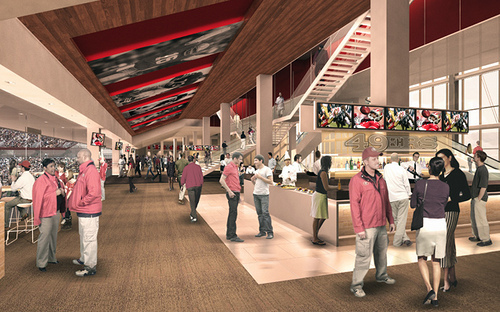 Levi’s stadium tech has innovative bells and whistles designed to enhance the 49ers fan experience and be ecologically friendly while helping the wonderful state of California set a new sportsbiz path other states and nations can study and follow. As a result of the success of green, sustainability and fan-friendly designs, the NFL is undergoing a new football stadium renaissance whether that is via a brand new stadium or a refurbished one. This league wide refresh is happening to attract fans and help get them off the couch and into the stadiums. The right blend of stadium sports technology and sustainability is indeed the winning business formula for the 49ers and NFL to entice generations of football fans to keep selling out home games. Installing enough Wi-Fi bandwidth to offer mobile device 4G coverage to 75,000 fans is quite a tech feat but is something you expect from the pioneering Silicon Valley culture. This trend setting venue is too awesome to be used for only eight home games a year by one team. 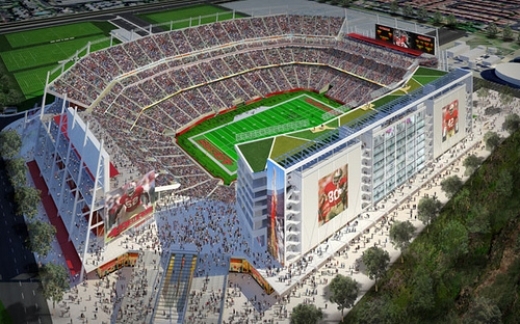 Might we see a new MLS soccer organization occupy Levi’s Stadium in the near future? I hope your favorite National Football League team makes it to Super Bowl L in Santa Clara, go Seattle Seahawks.